The HKIEd Certificate Authority (CA) is operated by OCIO. HKIEd CA issues digital certificates for servers in order to enable SSL in web sites as well as proofing web site identity. Although HKIEd CA is not recognized by the HKSAR Government as a public CA, the certificates issued could be used to enhance the security of communications in various HKIEd computer applications. In order to better work with some HKIEd applications (such as accessing iLeave System), you need to install the HKIEd Root CA Certificate into your Internet browsers. By installing the HKIEd Root CA Certificate, all digital certificates issued by HKIEd CA will be 'trusted' automatically. If you need to install the root certificates on your personal computer, you can follow the steps below. Please download the HKIEd Root CA Certificate . 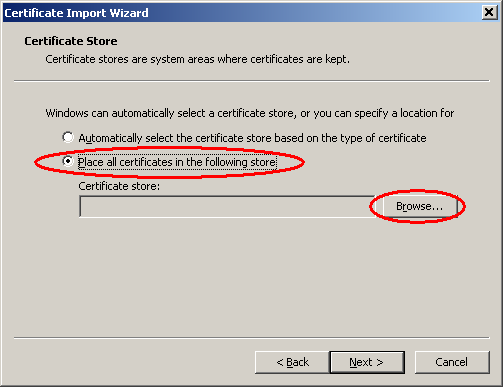 Click '+' on the left panel and select the "Certificates" folder. Then click the "Install Certificate" button. 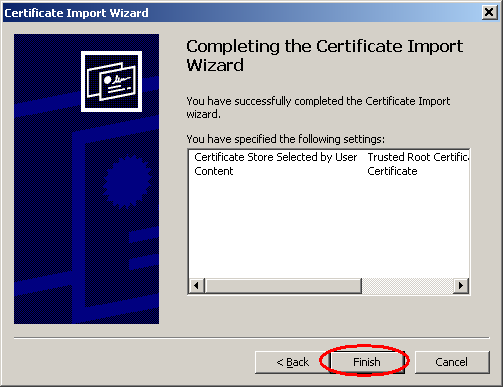 When the "Certificate Import Wizard" appears, click "Next. 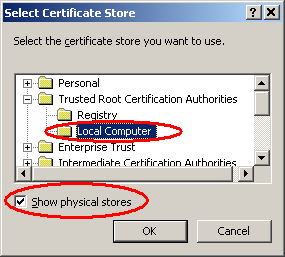 Tick the option "Show physical stores" first, then highlight "Local Computer" which under "Trusted Root Certification Authorities". And click OK button. When you see the "Security Warning" window, click "Yes" to confirm the installation. Then you can start to install the next certificate (repeat step 4 to 10).